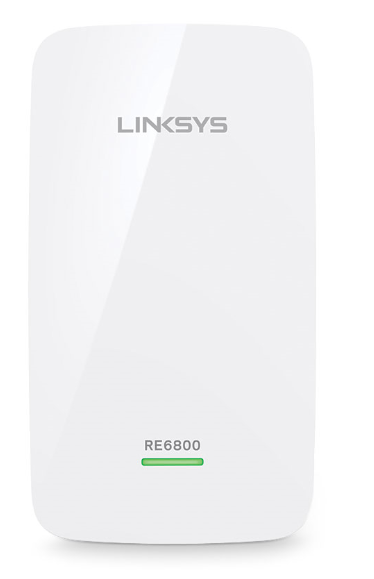 The Linksys RE6800 AC1750 Wi-Fi Range Extender is the latest range extender from Linksys with 802.11ac Dual-Band Technology. 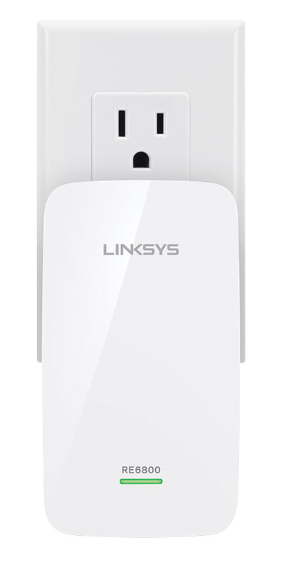 It can easily extend your wireless network to hard-to-reach locations in your home such as your backyard, garage, or bedroom to get Wi-Fi® connection to smartphones, tablets, and laptops. Power / WPS LED – This displays the status of the Linksys RE6800 based on the LED’s behavior (OFF, blinking, or solid) and color (orange or green). To learn more, click here. A. Wi-Fi Protected Setup™ (WPS) button – Use the WPS pairing to automatically and securely add wireless devices to your network. 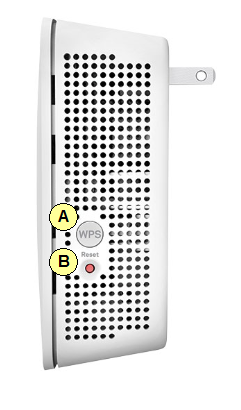 B. Reset button – Press and hold for 10 seconds to reset the range extender to factory defaults. 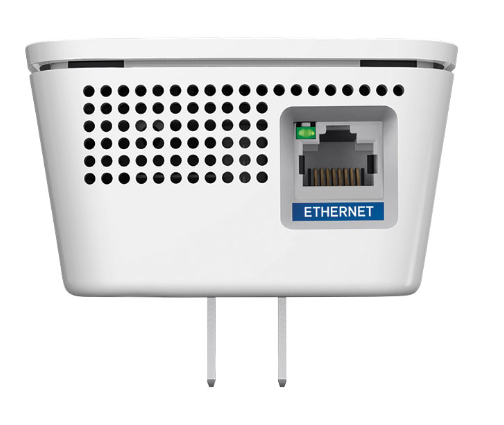 ETHERNET port – This Gigabit Ethernet port is used to connect wired clients such as computers or media servers when the Linksys RE6800 is in Range Extender mode or connect to a router when it is in Access Point mode. Boost Wi-Fi range up to 9,000 sq. ft.